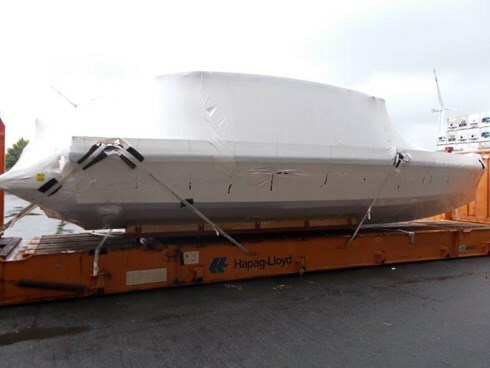 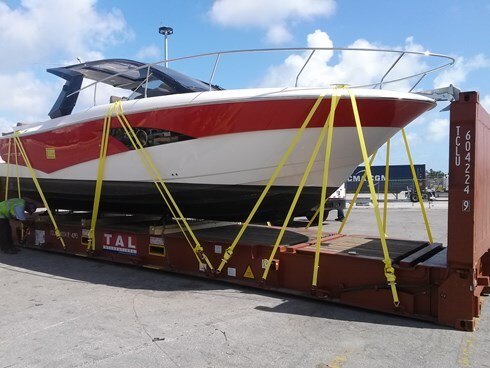 This service is most suitable for oversize boats that can be moved over the road to the port for loading and is most attractive when no RO/RO service is available to the desired shipping destination. 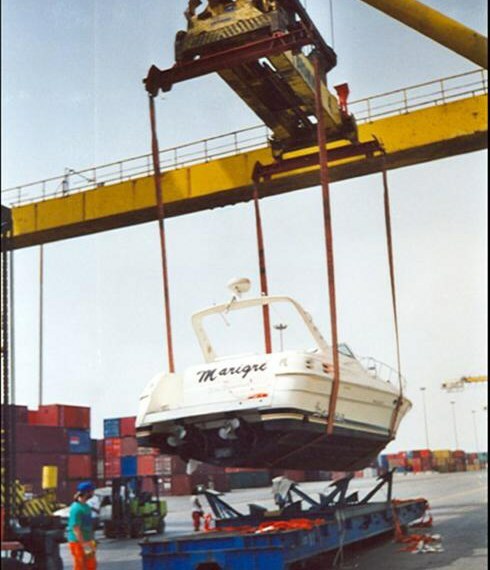 WeShipBoats uses a flat rack and straps to secure your boat to the vessel. 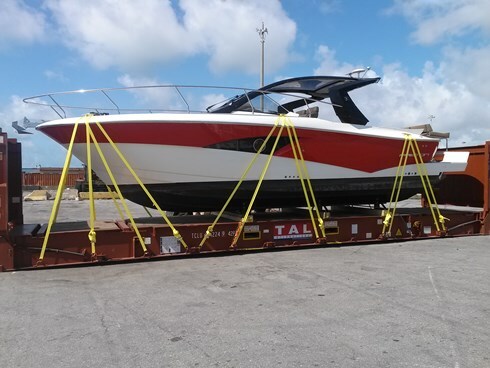 The boat is lifted using a forklift or crane onto a cradle on the flat rack. 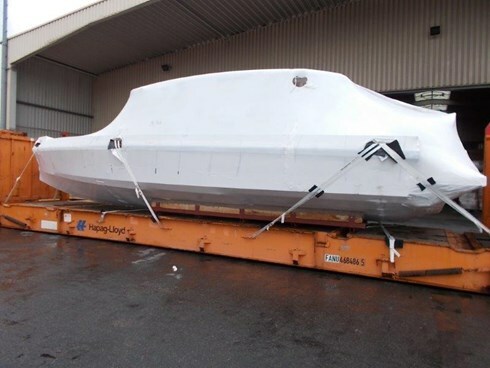 It is secured, blocked and braced to the cradle and the flat rack. 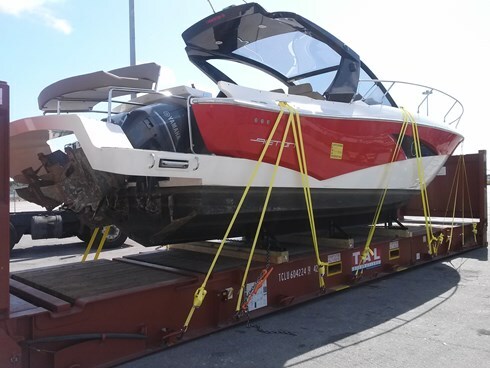 We recommend shrink-wrapping the boat to protect it from damage or debris getting into your boat while on route.